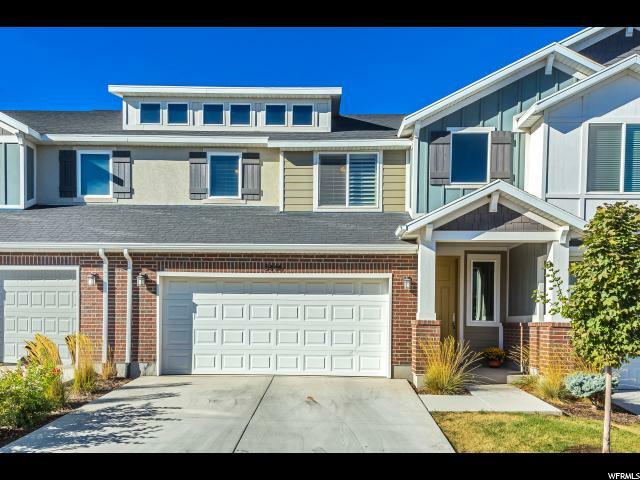 All ANTHEM RUSHMORE homes currently listed for sale in Herriman as of 04/18/2019 are shown below. You can change the search criteria at any time by pressing the 'Change Search' button below. "Come see this beautiful Townhome located in Rushmore Park. Great open floor plan allows for plenty of natural light. Kitchen boasts white cabinets with granite counter tops. Three spacious bedrooms all located on the second floor. Fenced back yard, with covered patio. Conveniently located near shopping centers, restaurants, entertainment, Mountain View Corridor, and walking distance to three schools. Access to parks throughout the Anthem Park development. Square footage figures are provided as a courtesy estimate only and were obtained from county records . Buyer is advised to obtain an independent measurement."